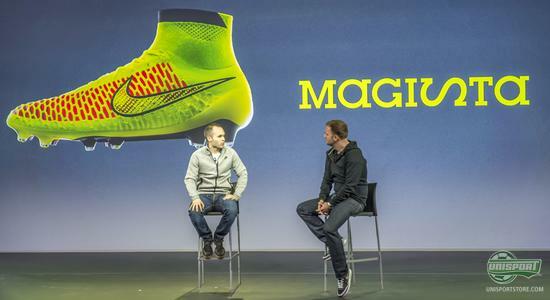 Nike recently launched their new Magista football boot in Barcelona, along with Andres Iniesta. We were on the sidelines following the whole thing and were among the select few, who got a chance to try on the new football boot. If you want to see how the event went, watch along here. 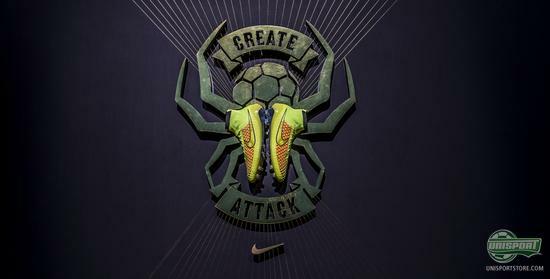 Before the Nike Magista boot was launched in Barcelona, Nike had been teasing us, by saying football will never be the same again. And when the veil was finally lifted and the Nike Magista unleashed, plenty of us needed to pick up our jaws from the ground. If you want to be one of the first to get your hands on the Magista sign up here. You will get all the information on pre-orders and much more here, via e-mail and SMS. 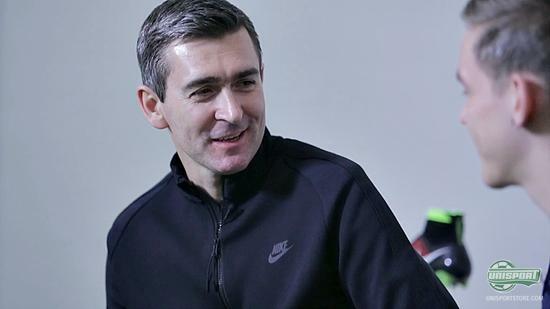 Nike had also brought with them the big guns, for the event in Barcelona, with Nike CEO and President Mark Parker and Barcelona star Andres Iniesta both turning out. From the stage Mark Parker told us how the Magista had been under development for the last four years and that it is the result of a constant desire from Nike to innovate. This has gone rather well too if you ask Andres Iniesta, who from the same stage told us about the Magista adapted to his foot like a sock and made him feel like he was wearing nothing at all. 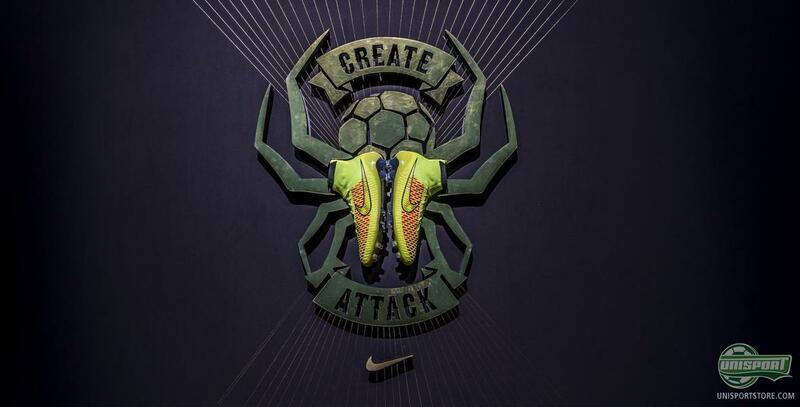 Nike Magista is made to remove all distractions, so it doesn’t just become one with your foot – but your entire body. Here the Dynamic Fit Collar comes into play, as it acts as a link-up between the boot and leg. Receive email and SMS notifications with all the latest info regarding the Magista by signing up here. 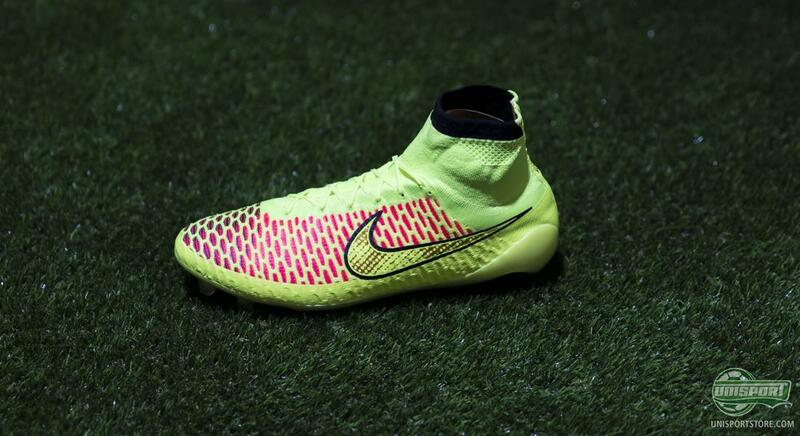 At the same time the Nike Magista is made of Flyknit, which gives a comfort like nothing else and allows Nike to be environmentally very friendly with their boot. With the high precision weave they can create an upper, which is flexible, but provides the necessary support, where it is needed. At the event both Phil McCartney and Denis Dekovic were in attendance, who both worked intensely on the Nike Magista – and we were lucky enough to have a chat with them. 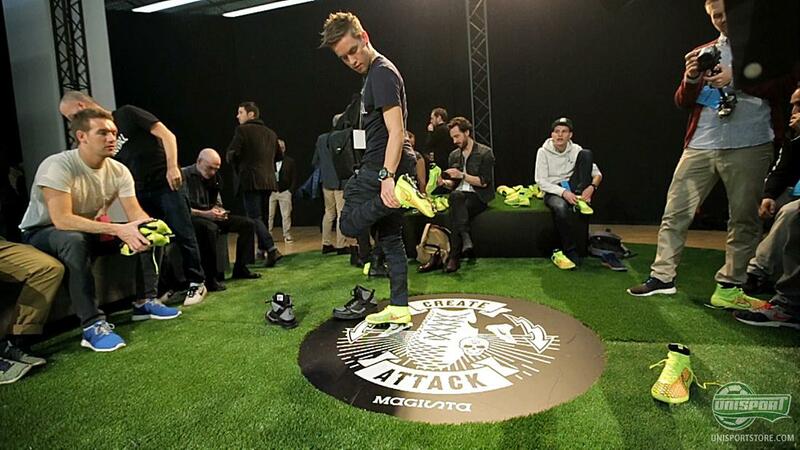 One thing is seeing a new boot – it is something completely different to try them on. This is however just what Nike had arranged for us and we therefore got to try out the new Nike Magista at La Masia, which is FC Barcelona’s famed training facilities. Not bad eh? And how did the boots perform? 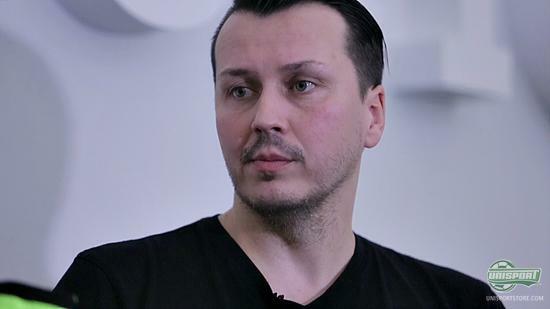 You can hear Joltter’s first impressions here. 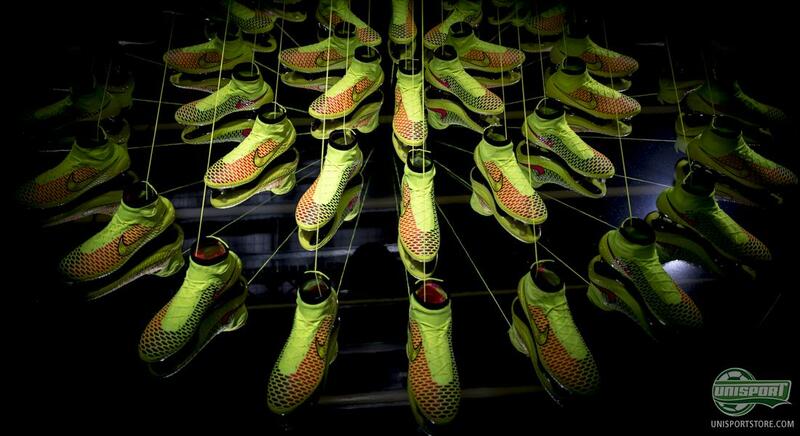 The launch of Nike’s Magista marks another chapter in football boots – and we are really looking forward to seeing Iniesta, Götze, Luiz, Silva and many more in the Magista, at the World Cup. 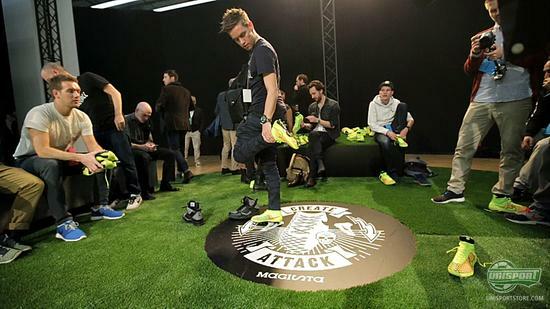 What do you think about the launch event and are you excited to try on the Magista? Share your thoughts in the box down below.